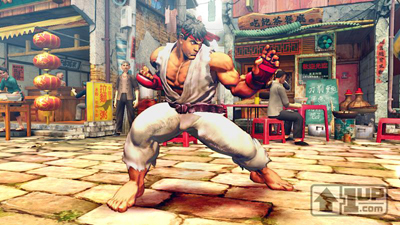 Street Fighter IV isn’t out for 12 more days, but that hasn’t stopped Capcom from announcing some DLC for the game. The first expansion pack, Championship Mode, which is free, will add replay mode, a new points system, and enhanced tournament matching. Replay mode seems pretty cool, if Halo 3 taught me anything, it’s that replays should be in every single game, no matter what. There is also more DLC down the road, with various new outfits available for the characters. Additionally, they confirmed that Bionic Commando, for the Xbox 360 and PlayStation 3, will be releasing this May with the PC version soon to follow. 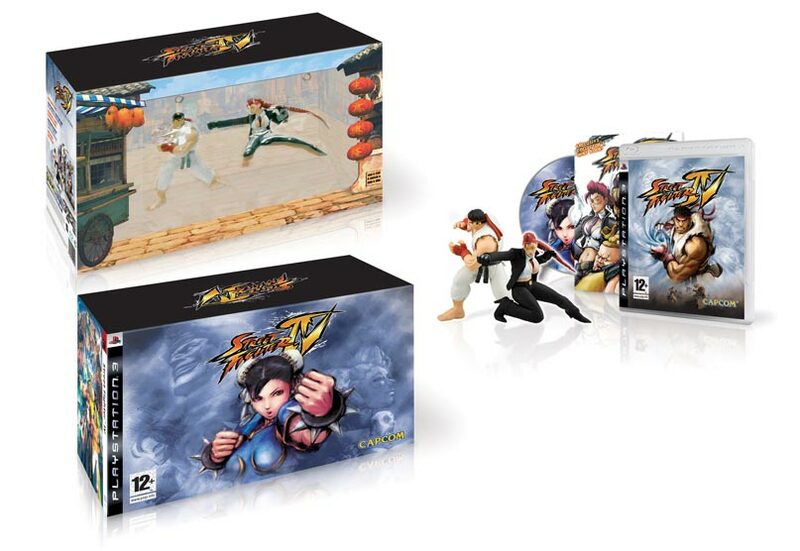 Street Fighter IV Collector’s Edition stuff, for North America. I wonder what the “secret additional downloadable content” will be? 3. Street Fighter IV: The Ties That Bind: a 65 minute anime movie — created by Studio 4C — that sets up the story of SFIV by explaining events post-SFII. BluRay disc in the PS3 box! The Xbox version is a 360 game disc that outputs the movie at 720P, not a DVD. 5. CD soundtrack. Rock SFIV stage chunez in your car! 6. …Plus some secret additional downloadable content that we’re not quite ready to reveal at this point. Look for more announcements soon! A set of limited edition Ryu and Crimson Viper figurines. A bonus disc containing a selection of trailers and a full-length anime movie specifically created for the Street Fighter IV game. A mini strategy guide featuring the four new characters. Some as yet unannounced downloadable content. What’s a Street Fighter Club event? Apparently, an “evening of free pizza, sodas, an amazing goodie bag and ten Street Fighter IV arcade machines.” At least that’s what happened in L.A. when they held a similar event earlier this year. It took place in some run-down warehouse in an “ultra-sketchy” neighborhood, so there’s a good chance when it comes to Brooklyn it will be in Red Hook and I won’t have travel far. Honestly, I just want to go for the goodie bag. I hope Liz comes with me, because I’m a) scared of run-down warehouses, and b) scared of people cosplaying Street Fighter characters. And playing Street Fighter IV would be fun, too. 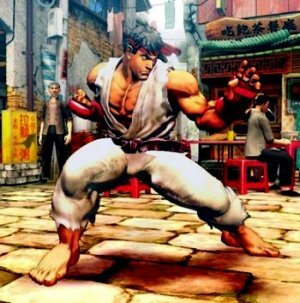 A new trailer for Street Fighter IV has emerged from the AOU 2008 Amusement Expo in Japan. The trailer shows off moves from returning characters Chun-Li, Guile, Dhalsim, E. Honda, Zangief, and Blanka, as well as new characters Viper and Abel. Looks pretty interesting. Chun-Li has some giant thighs. 1up has some first details about the upcoming Street Fight IV. The article explains that, though the game engine uses 3D graphics, the game play will be 2D, which is good I think. I never really got into 3D fighters but I love games like Marvel vs. Capcom. The standard six-button control will remain and characters will have updated moves.